"If whomever is advising you is not a certified health provider (that does NOT mean some bogus nutritionist, that means a PHYSICIAN) you are being lead astray." Does having a title after your name make you smarter? Ok, well I am certified by the American Association of Drugless Practitioners as a holistic health and nutrition coach, I am certified in plant based nutrition through Cornell University, I have a BS in physical therapy and a minor in chemistry. And since when did the title 'nutritionist' get the prefix 'bogus' added to it? "A high carb diet will only do one thing....make your body insulin resistant, and predispose you to adult-onset diabetes." Dr. Ignorant, I'm sure you know that our brain runs on glucose for fuel, and the same goes for most of bodily functions. Our diet should be comprised of approximately 65% carbohydrates, 15-20% protein, and 15% fat. While I agree that a diet high in REFINED carbs will lead to type 2 diabetes, this statement should not be generalized to ALL carbs. This line of thinking forces people into eating too much protein. And too much protein is taxing on the kidneys, and has been strongly linked to cancer. Studies done by Dr. T. Colin Campbell show this fact. It is VERY rare for anyone in the United States to be protein deficient. I do applaud your concern over diabetes, and the assumed understanding that it is an epidemic. However, 'a high carb diet' is actually the diet that was followed in the documentary Simply Raw... you know, the film where they REVERSED diabetes in 6 patients in 30 days, all through a raw, vegan diet.... ever hear of it? In fact, one of the participants actually cured himself of TYPE ONE diabetes! The diet was certainly 'high carb' per most people's standards, as it was all plant based food. But the educated plant eater knows that there is HUGE difference between how our body processes carbohydrates in a leafy green or a carrot, versus in a piece of white bread. Do you know the difference Dr. I? 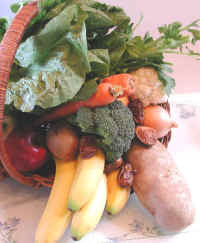 "You cannot get sufficient B vitamins from plant matter only." Are we talking about ALL B vitamins, or did you mean to say B12? Well since our soil has been so depleted through conventional farming, that is now the sad truth regarding vitamin B12. However, nutritional yeast, a staple in most vegan diets, provides a great source of B12, as well as fortified non-dairy milks, and maca. That said, a supplement is of course a good idea, as back up. I take a B12 supplement sporadically, and consistently eat the foods mentioned above. I just had my B12 levels checked a week ago and they were perfectly normal. 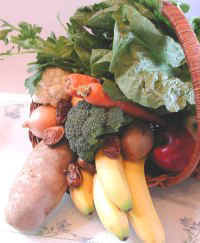 In regards to other B vitamins, they ARE present in plant foods, especially dark leafy greens and beans. "You cannot get Vit D from plant matter." Actually, Dr. Ignorant, you can. Sun-dried shiitake mushrooms are a plant source of vit D. Also, most non-dairy milks are fortified with vitamin D at the range of 25% recommended daily value per serving. And while we are on the subject, I would suggest that many meat eaters are vitamin D deficient. Vitamin D deficiency is rampant in both vegans and carnivores alike (probably due to the fact that we live such technology driven-lives and spend little time out in the sunshine; the BEST source of vit D). Regardless of diet, it's prudent to have your vitamin D levels checked, and take a supplement if indicated. But on side note, this vegan of 2 years just had her levels checked and was perfectly in range, sans supplements. every meat, egg and dairy eater also consumes antibiotics, steroids, saturated fat, cholesterol, feces, uric acid and pus... does that sound healthy??? "ALL baked sweets have white flour, and sugar in them, NONE are healthy." Oh is that so? Check out this recipe. How do you like them apples?? "The best formula is a well-balanced diet including ALL the major food sources (except for whites)." "Meat, fish, poultry are NOT bad for ANYONE." "If you do not eat animal products because you have some problem with killing animals, I suggest you give up shoes, belts, jello, glue, colognes, and perfumes, and thousands of other goods which require animal products." it takes 2,500 galloons of water to produce 1 pound of California beef, according to the Water Education Foundation. "I hope you know this is sent only because I am concerned that you are blissfully, and unwittingly destroying your health. Now go out and order a nice, lean steak with a sweet potato, a side of salad with olive oil and red vinegar dressing."